Since I just joined the forum I figured I would post something small that I found interesting to introduce myself. 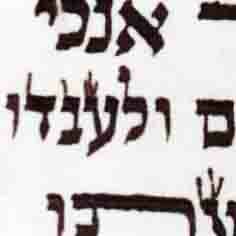 Here is A source in Rishonim for the minhag of the backwards head of the letter Tzadik. 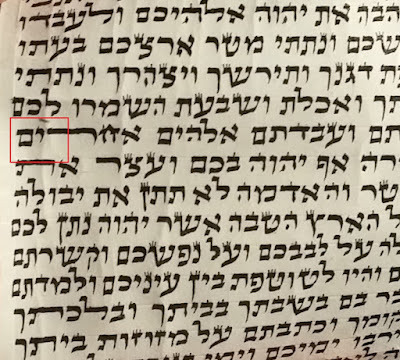 The Minchas Solet (R' Menachem Mendel Meshi-Zahav), perush on the Baruch Sheamar, brings that, while the custom of having the right head of the letter Tzadik face towards the right seems to originate from the Arizal, the truth is that you can find an earlier source for in the Rishonim. Namely, the Meiri and in his understanding of Rashi. In explaining the statement in the Gemara that you should be careful in writing that your letters Tzadik and Gimel should not look alike (לא יעשה צדין גמין), one explanation is that if you flip the gimel around it will look like the long Tzadik. Now, the sefer Hatruma qualifies this that the head of the backwards gimel will not match the right head of the Tzadik, since it will face towards the right. 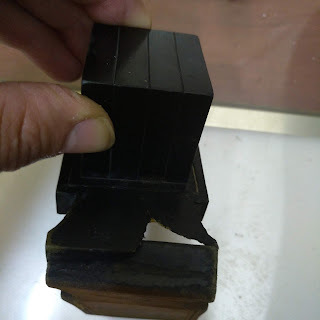 However, the Meiri understands Rashi to hold that it will match the Gimel, implying that the right head of the Tzadik also faces towards the right, according to Rashi. I have been going through the posts on this blog and it is a tremendous resource and a wealth of practical insight. Yasher koach! Keep it up! As well as a YouTube channel where I post mamarim/Mishnayos etc for chazara.